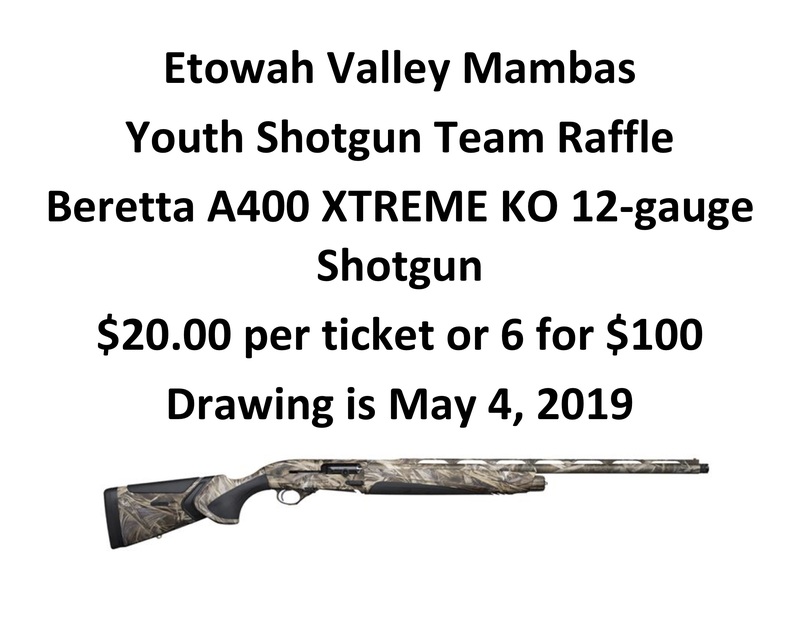 Etowah Valley is hosting the Mambas 6th annual fundraiser shoot on Saturday, May 4th 2019. 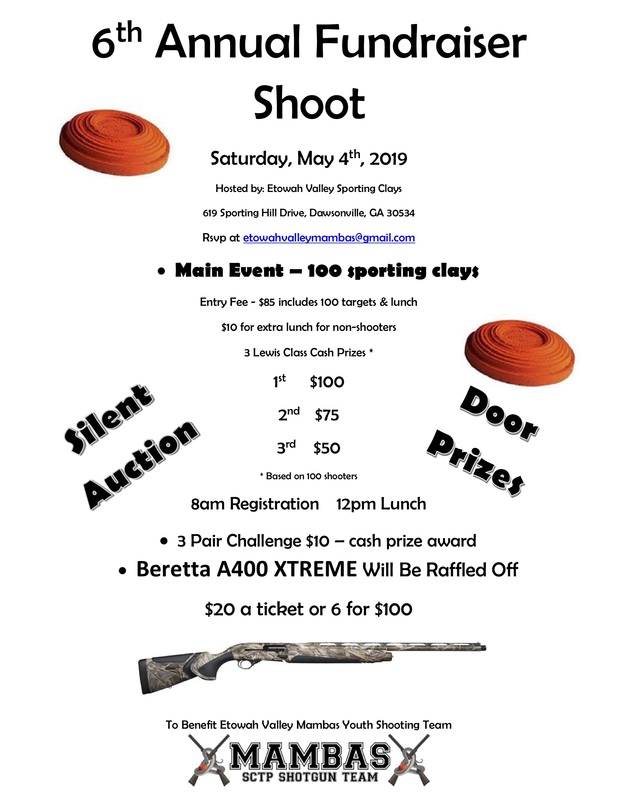 There will be prizes for the top three shooters. There will also be a silent auction during the shoot. 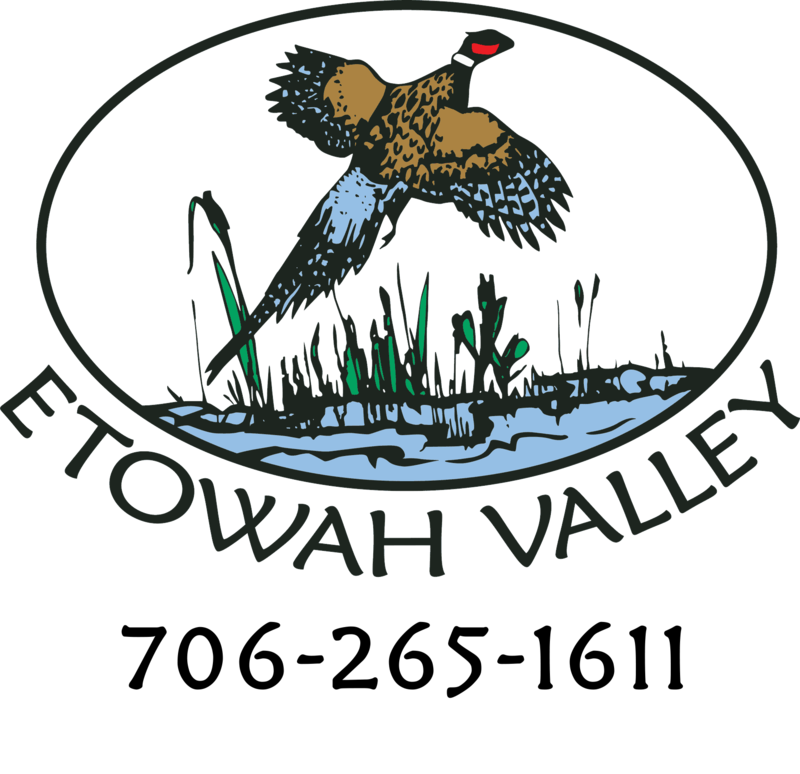 See the attached fliers for more information.